It was a beautiful rainy day for Sally and Trey at Lomax Farm in Salisbury, NC. Sally was not going to let the rain get her down and took it as a sign of good luck. In fact, nothing could stop Sally from keeping a huge smile on her face. She and her bridesmaids happily sang, made jokes and prayed over Sally to her marriage with Trey. The clouds hung heavy, full of rain for this rustic farm wedding for some time and it finally let out completely just in time for their outdoor ceremony. The guests and couple embraced the rain and everyone gathered joyfully together under the massive outdoor tent to witness two becoming one. 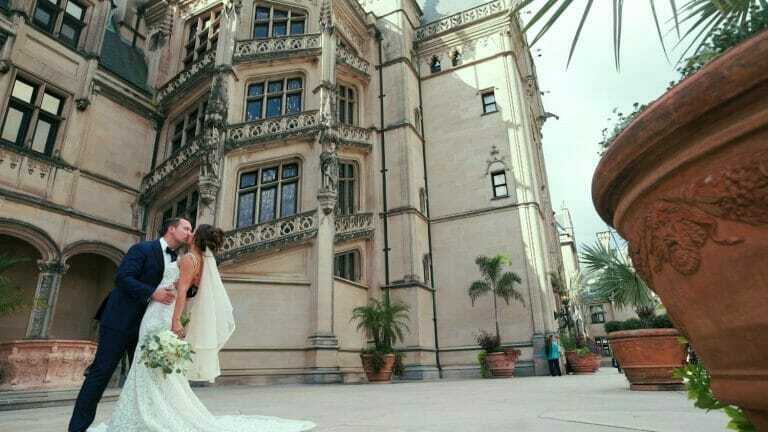 The rain made the most beautiful backdrop for their ceremony. Sally waited anxiously inside of her family’s barn to walk through the rain, down the aisle under the tent and to her groom. The barn doors swung open dramatically and out came Sally, in a stunning silky white gown which contrasted beautifully against the rustic barn doors. Rain fell outside and tears fell inside during the entire wedding ceremony. The wedding ceremony concluded with a large praying over the newlyweds. The photo session was an interesting one, with family huddled under the shelter of the barn and the bridal party under individual umbrellas. Sally changed into her navy Hunter boots as well. The rainy day made for some of the most candid and unique wedding video clips while their guests enjoyed their cocktail hour. The NC reception at the rustic farm wedding was well lit with beautiful candles and centerpieces. The newlyweds had guests sign one of their favorite books, as opposed to the traditional guest book. This and other touches made Sally and Trey’s NC wedding uniquely theirs. PB&J catering had a delicious assortment of food for the wedding guests and Angela’s Sugar Shack made the most delicious and gorgeous wedding cake, which the all NC wedding guests raved about. Getting people out of the dance floor was no problem with the popular “The 919” wedding band. Before we knew it, it was time for Sally and Trey’s sparkler exit out at the front of the rustic farmhouse. 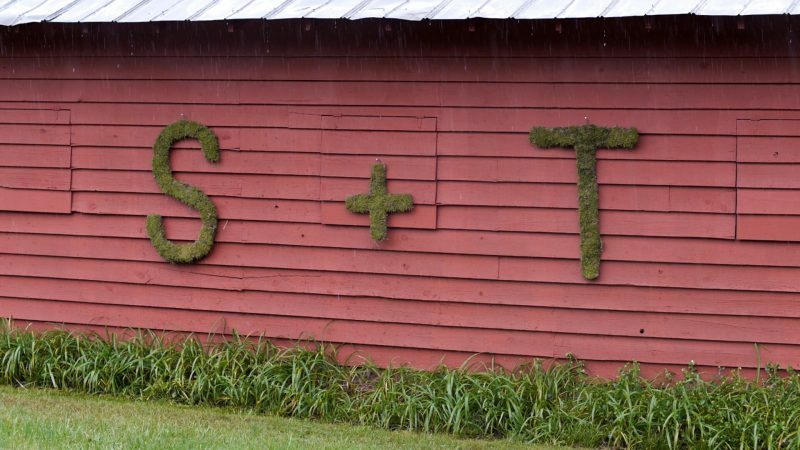 It was the perfect wedding day, rain and all, for Sally and Trey at their outdoor farm wedding. 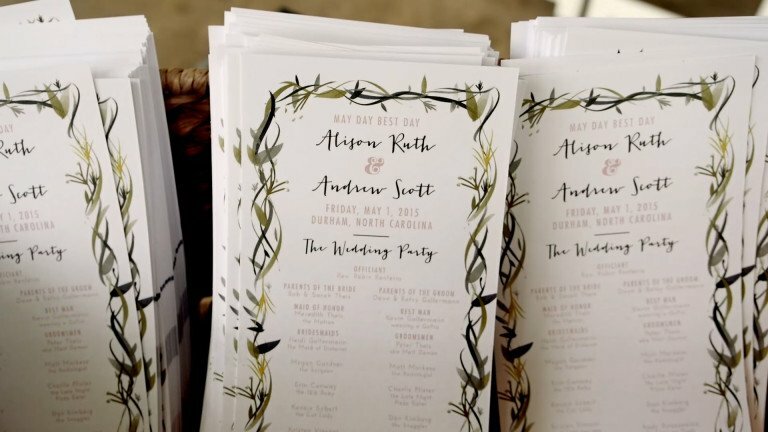 This NC wedding goes down as one of our favorites. 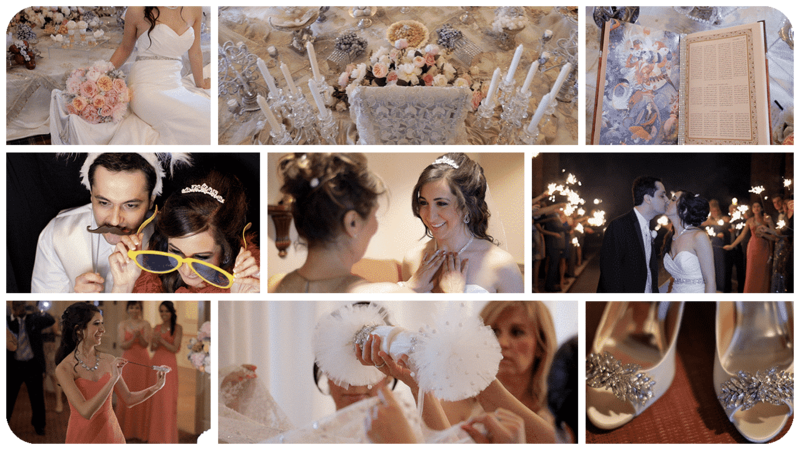 Thank you to Sally and Trey for allowing HoneyDew Films to capture all of your most special moments! Congratulations to the happy couple!